This year Ontario’s highest court has revisited and expanded an employee’s ability to receive the incentive based compensation when they have been terminated by their employer. Is the bonus integral triggering a common law right to the bonus through breach of contract damages? Is there something in the bonus plan that unambiguously alters or removes the applications common law right to the bonus? In Paquette, the Court found that since the bonus was an integral part of the employee’s compensation, had he worked the notice period he would have received this bonus, and nothing in the wording of the bonus plan unambiguously ousted his right to this bonus, he was granted his cash bonus during the notice period. The Court of Appeal then revisited the issue in Bain v UBS Securities Canada Inc., 2018 ONCA 190, where on the incentive-based compensation issue it applied the Paquette test to a deferred bonus plan. In this plan the employee would be granted a bonus through notional shares of the Employer and vest some years later. The Court found here that the employee earned the right to the bonus on granting of the notional shares, regardless of when the vesting date was. This appeared to expand Paquette by not only applying to a stock-option scenario but by also confirming that entitlement was triggered upon the granting of the options, even if the vesting date, or pay-out date, is outside of the notice period. This was significant as stock options almost always have a dual entitlement phase as a means of providing a long-term incentive: the granting of the shares and the vesting of the shares typically some years later. This is in contrast to cash bonuses which are typically payable shortly after year-end as a means of rewarding performance for the year that has just passed. Then the Court yet again revisited the Paquette decision in Singer v Nordstrong Equipment Limited, 2018 ONCA 364. In this scenario, the Court of Appeal provided the terminated employee the cash bonus on a month-by-month basis, completely ignoring the payment date. This expanded on Bain because the ‘granting’ of the cash bonus had not officially crystalized, but the work performed on a monthly basis resulted in the bonus being earned by the employee and thus he was entitled to the bonus on a monthly basis during the notice period. The Court of Appeal has removed all doubt that incentive-based compensation will be denied when the payment date lays outside of the notice period. 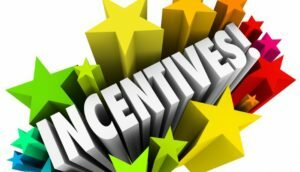 Generally, incentive-based compensation is payable to the employee, through wrongful dismissal damages, once the employee has performed the work that gives rise to the bonus being given, subject to the bonus plan unambiguously ousting the employee’s rights.